It can be used in Toyota vehicles audio front panel (200mm) type. * Be careful not to pinch the wire during installing brackets. The snapping of a wire and short circuit cause failure or a vehicle fire. * Can not install the size of 1-DIN. * There are cases that processing is required depends on some the models., * Be careful not to pinch the wire during installing brackets. The snapping of a wire and short circuit cause failure or a vehicle fire. * Can not install the size of 1-DIN. * There are cases that processing is required depends on some the models. When purchasing genuine with a dealer, one screw 64 yen, one spacer 108 yen Total 700 yen It is advantageous from genuine a little but because the screw can buy the necessary amount, the dealer is advantageous. The finish of the spacer is genuine to the grain There is an abrasion at the time of manufacturing which the monotary is slippery and can not be applied to the nail. Since there are only four screws, it is enough to have 4 spares, so it is not worth choosing that this spacer, if included, will cost 400 yen for all. I bought it because I do not sell the screw anywhere. Spacers are sold for Toyota genuine 100 yen for one side. Screw may also be genuine if you examine it. Although it can be used without trouble, I think that the price is high as thinking that it is genuine if you consider the risk of processing. It is difficult to finely adjust the position because the screw is not a plate. Turn to turn off. This review is about item#01066537. There is also a wasteful part clearly compared with panels of other companies, and it will be able to forcibly cut almost every time. 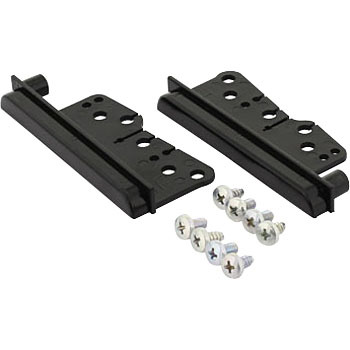 It is possible to say absolutely to the mounting bracket so that it interferes and can not screw. Honest purchasing is not recommended. Whether it is better to use genuine or other company's products. The price is high even though it is such a bad product. I am thankful for selling this one. Price is too high. I think that it is an item that is extreme, but it is not amusing even if it is a hundred and even without a screw. There is no problem with fitting, it is equivalent to a maker item. The goods were good, but it did not suit. Please note that there are two types.